Homes could be underinsured by an average of 28%. Widespread under-insurance of Kiwi homes is a “real issue”, according to research from Treasury. 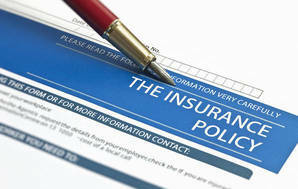 The research found up to 85 percent of homes could be underinsured by an average of 28 percent. If you’re underinsured, you won’t receive a big enough payout to fully rebuild your home if it’s beyond repair. In the past, home insurers offered “full replacement” cover. They’d pay whatever was necessary to rebuild or repair your home if disaster struck. But following the Canterbury earthquakes, most insurers switched to “sum insured” cover, which makes you responsible for estimating the cost of rebuilding your home. This estimate (the sum insured) is the maximum your insurer pays if your home is damaged or destroyed. There are online calculators to help you estimate a figure, but these are only as good as the information you input. The calculators also need to be generic for usability’s sake so they may not account for unique elements, such as multiple construction materials or shared driveways. As an alternative, you can pay a professional to estimate your sum insured. But our 2014 mystery shop of five valuation companies found these professional estimates can vary significantly. So what to do? For starters, it’s worth nailing down important factors such as the size of your home. That way, you can approach sum insured calculators with more confidence. You might also consider increasing your sum insured above the calculator’s estimate. Based on online quotations for a house in Wellington, Treasury found an extra $2 per week in premiums could get you another $200,000 worth of cover. We've got info on all kinds of insurance — health, car, life, travel — even pet insurance. Compare policies and make the right choice with our reports.